In this article, the author confirms that there is no way out of Britain, as long as Prime Minister Theresa May is in power because Britain does not have any anti-Russian evidence in "The Skripal Affair". In the text, the author lists all the advantages of entering Britain into the composition of Russia. First, England will be defended by a powerful and modern army. The second - they don't have to boycott the World Football Championship because for the British it will be "home playing", and the Russian team will gladly accept the English players. Third, Britain will have a new prime minister! 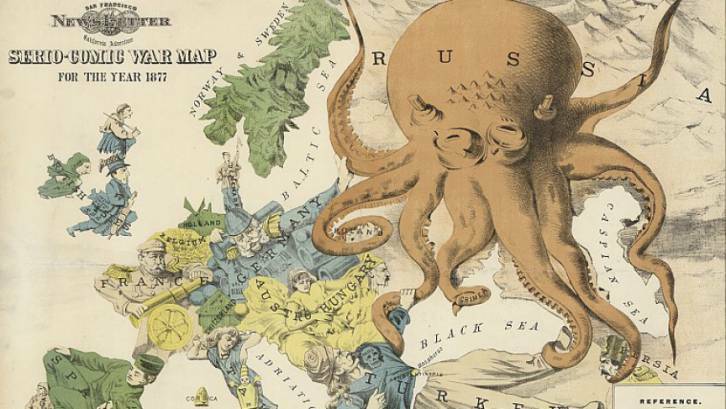 And most importantly - Britain will again be "the queen of the seas and oceans," and "the sun will never go over the empire ..."
Will "Tsar Vladimir" agree to this? And will the English themselves agree that their football team will act under the Russian flag? Maybe it's better to replace Madame Prime Minister and apologize to the Russians for her feminine foolishness, born of childish Russophobia?